Get people to dust out their DolceGusto machines or buy one for Christmas. 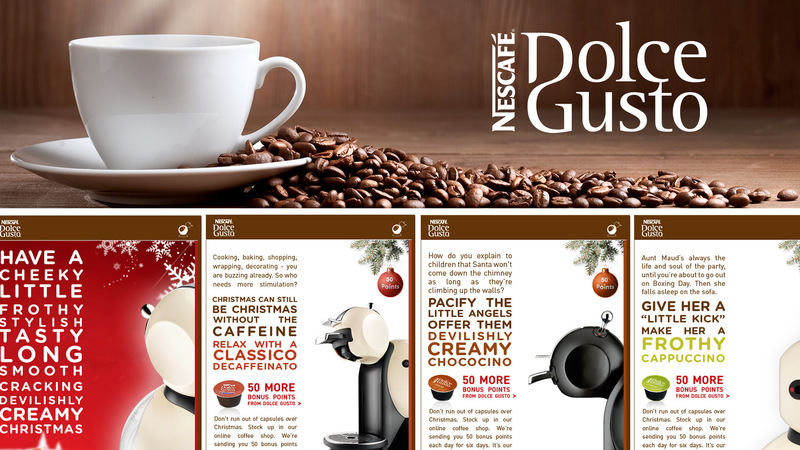 Do it using a month long email campaign promoting all 8 different tastes of Dolce Gusto before Christmas. Using storytelling and Zeigernik effect we created Christmas related scenarios around each product and using behavioural economics strategy we created finale anticipation.